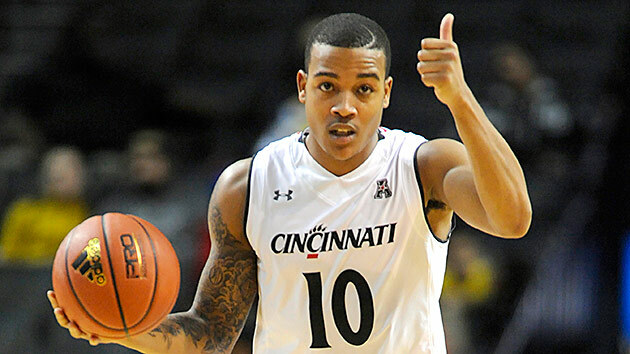 Everything you need to know about the Cincinnati Bearcats as the NCAA tournament begins. Impact player: Troy Caupain, junior, guard. 13.2 PPG, 4.8 APG. The case for: Consider a game that features a small number of possessions. Now consider that you will have a really hard time scoring on each of those possessions. That scenario is a simple way to describe what it’s like to face Cincinnati. The Bearcats rank 320th in the country in adjusted tempo and they allow opponents to score an average of only 0.93 points per possession, according to kenpom.com. They do an excellent job forcing misses inside the arc (14th nationally in two-point field goal percentage defense) and protecting the rim (fifth in blocks per game). Those statistics, of course, presuppose shot attempts. Cincinnati often doesn’t allow possessions to get that far, as it ranks 24th in the nation in steals per game. Defense is the Bearcats’ calling card, but they can be tough to stop on the other end of the floor. Point guard Troy Caupain is a savvy facilitator who’s cut down on his turnovers while dishing out more assists as a junior, senior guard Farad Cobb has canned nearly 40% of his treys this season and Cincinnati creates extra shot attempts by grabbing 36.8% of its misses. On a separate note, the Bearcats are probably due for some good luck after falling victim to a 60-foot buzzer-beater in the AAC tournament. Not only does Cincinnati labor to score on every trip down the floor, it doesn’t take many trips, period: the Bearcats average only 65.8 adjusted possessions per game, well below the Division I average of 69.0, according to kenpom.com. Cincinnati will make teams work hard for all of their points, but something as minor as one opposing player getting hot from three-point range could doom the Bearcats. They simply won’t be able to keep up. SI prediction: Lose to No. 8 Saint Joseph’s in the first round.